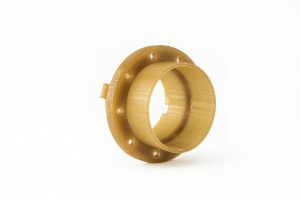 On this edition of 30 on 3D, learn about Antero 800NA, the first PEKK-based material available on a Stratasys FDM system. Using Antero 800NA with FDM technology avoids the waste and design limitations associated with using subtractive manufacturing on a PEKK material. Space – Make ground support equipment and pieces used during assembly, test, and flight operations, as Antero 800NA works well with high-temperature stability and low outgassing. Interested in learning more about 3D printing? Check out other episodes of 30 on 3D.